You see wall graphics and wraps just about everywhere you look these days. Businesses are now using wraps to leverage the branding potential of their walls. And, digitally printed wallpaper is becoming a favorite way to decorate private residences. There are a couple reasons why these types of signs are growing in popularity. Based on the needs of your organization, wall murals can create a professional or relaxing décor. In addition, they have unparalleled marketing capabilities. Fortunately, Blue Barrel Signs supplies digitally printed wallpaper, graphics, murals, and wraps for Central Oregon. 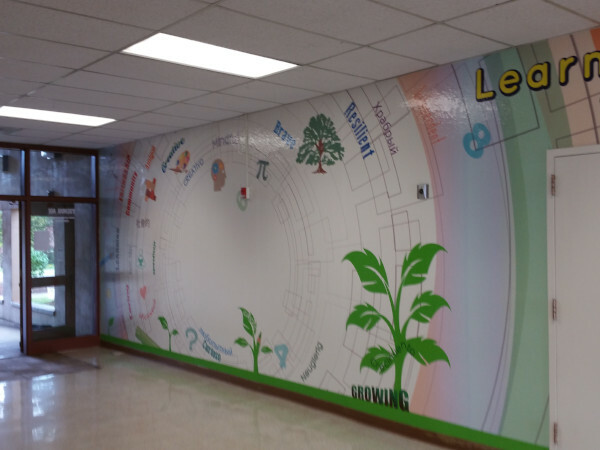 What Is Possible with Wall Graphics? Wall graphics inspire and entice! Eye-catching wall wraps can incorporate your dedicated mottos, promotional images, logos, and slogans. High-resolution graphics and text are printed directly to durable cast vinyl adhesive films using a large format digital printer. The graphics are then installed at a time when it will cause the least disruption to your office, restaurant, or store. If you do not have logos, photos, or any idea of what you want on your walls, no problem! We will meet with you to discuss your goals for your walls and come up with images that fit your vision. We begin all of our projects by talking with you and typically perform a site survey to see where the graphics will be installed. Based on your budget and venue, we provide you with recommendations and design mockups. Who Benefits from Wall Wraps? Wall murals change the atmosphere of any space! Dental and Medical Office Waiting Areas – As patients wait in the reception area of a physician’s office, they are usually at least a little bit anxious. With the right printed wallpaper, you can put them at ease. Nonprofit Organizations – Everyone who enters your office will see your mission statement once you choose to showcase it in lively colors using vinyl wall lettering. Get your community message across using vibrant images. Restaurants and Cafes – Let your cuisine be your guide as you choose your wall wrap designs. For example, your pizza place can benefit from images of a chef throwing dough in the air. Meeting Rooms – Whether you run a general contractor, architectural, accounting, legal, or financial services firm, your meeting rooms can benefit from wall graphics appropriate for your industry. 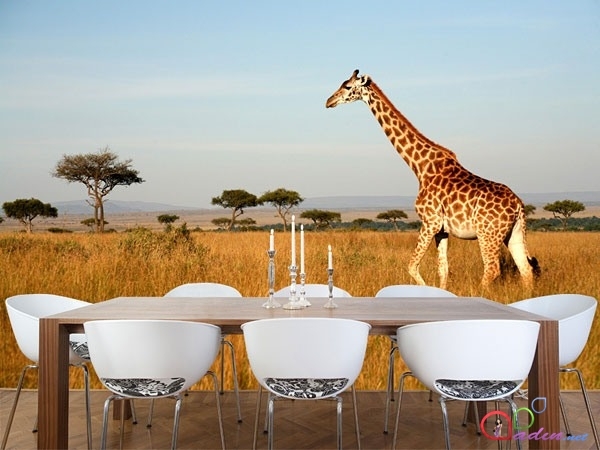 Office Environments – Represent your global offices or service areas with custom wall murals. Make your restaurant a unique place to dine! If you are still unsure about whether wall graphics are right for your enterprise, remember that 93 percent of all communication is nonverbal. Additionally, images are processed 60,000 times faster than words. In this way, your visual message will quickly boost your brand awareness and make visitors feel welcome. From our shop in Bend, Oregon, Blue Barrel Signs is proud to provide wall graphic design, printing, installation, and maintenance services for La Pine, Sisters, Redmond, Prineville, Madras, Deschutes County, Crook County, Jefferson County, and the rest of Central Oregon. 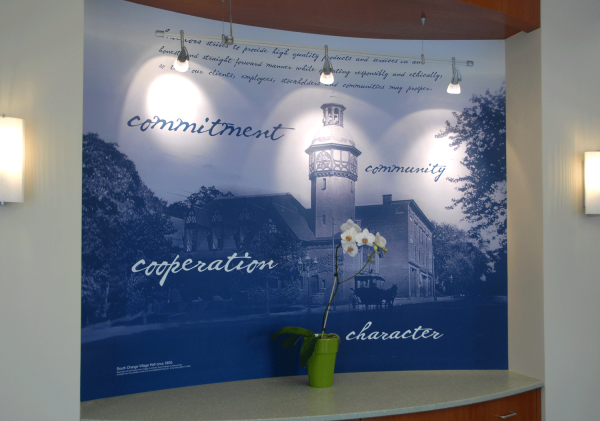 Contact us today for a free quote on wall wraps if you would like to learn more about what we can do for your organization.